For a long time, it was thought that Down syndrome was an incurable disorder. Because nearly all individuals with Trisomy 21 carry and extra chromosome in all of their cells, it was believed that little could be done biologically to change the effects of the extra genetic material in individuals with Down syndrome. In the past 10 years, great advances have been made in understanding the biology of Down syndrome and how pharmacological treatment may improve specific phenotypes associated with this syndrome. Many laboratories, including my own, are now testing potential therapies for Down syndrome phenotypes that may offer a better life to those with this disorder. We will discuss the possibilities of scientific-based therapies for Down syndrome phenotypes. 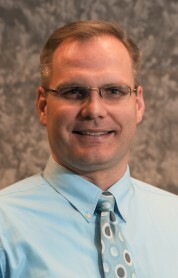 Dr. Roper is an Associate Professor of Biology at IUPUI. More information about research from the Roper Lab can be found here.